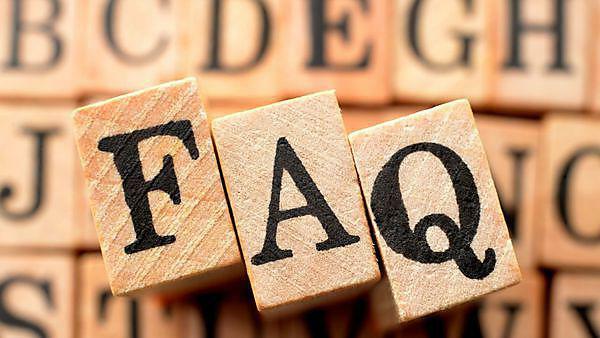 If you have any questions regarding your results and in order to help you get the answers you need, we've compiled a list of our most frequently asked questions and answered them below. If you can't find the answers you need, or you are still unsure in anyway, please contact the Doctoral College (with a link to us here?). Why do I have taught modules if I am registered for a research degree? Not all research degrees require students to undertake taught modules as part of their training. However, there are some programmes with a requirement to achieve a certain amount of taught credits before a research degree can be awarded. For some students, because of their background, the supervisory team has identified that signing up for some taught modules will improve their experience as a student. Most research degree students will enrol on masters level taught modules (level 7) or doctoral level taught modules (level 8). How many credits do I have to achieve to gain a postgraduate research degree? What is the pass mark for a postgraduate taught module? The pass mark for a module is 50%. Where a module includes more than one element, a student is also required to achieve a minimum of 40% in each element. The pass mark for a module is 50%. There is no minimum requirement for the element. What happens if I have failed any of my modules? repeat the module(s) at the next available opportunity. You are allowed a maximum of two attempts at Level 7 or level 8 modules. The Award Assessment Board will not normally require a student to withdraw unless they have reached the maximum number of attempts. What happens if I fail any of the modules I have been referred? You are allowed a maximum of two attempts at Level 7 or Level 8 modules. If you fail after two attempts, the Award Assessment Board will consider your circumstances and will make a decision, based on your offer letter and the relevant regulations, as to whether you are allowed to continue with your research degree or whether you are entitled to an exit award, depending on the number of credits you have achieved. If you have not reached the maximum number of attempts at a module, the Award Assessment Board will consider whether to allow you to repeat the failed module(s) in their entirety during the next academic year. You will receive the actual mark for any element taken for a second time but the overall module mark will be capped at the pass mark which is normally 50 per cent. Please note that all taught modules studied under a Postgraduate Research Programmes are non-compensable. If you have passed, we do not require you to undertake reassessment. If you have valid extenuating circumstances and would like to be reassessed, please contact the Doctoral College by the appeal deadline. What mark do I need to achieve in order to gain a merit or distinction? Research degrees are not awarded with merit or distinctions. However, some exit awards are as below. A postgraduate certificate or diploma with merit will be awarded provided that a credit-weighted average mark of 60 per cent or above across all the modules is achieved. A postgraduate certificate or diploma with distinction will be awarded provided that a credit-weighted average mark of 70 per cent or above across all the modules is achieved.